The old saying states that money doesn’t bring happiness, but there are plenty of examples out there that when used wisely, cash can ensure contentment. 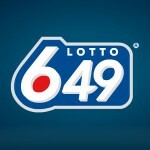 For a fortunate Lotto 6/49 winner, luck suddenly ran out, when his sister decides that she should file a legal claim, in an attempt of stripping him of a third of his prize. It all began when the sister gave him one dollar to pay for the three dollar winning ticket, although the actual winner claims that they had no agreement, therefore refuses to pay a dime. Samir Haddad was the one who purchased the winning ticket and claimed the prize, but his a friend who also happens to be his barber also contributed towards the purchase. 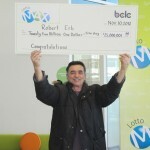 The two of them told the media back in 2008 that they used to play the Lotto 6/49 together for quite a while and they were thrilled with the idea of splitting the money evenly. It was all fun and games until Leila Nahas decided that she shouldn’t empty handed and collect her share of $10.6 million. When he refused to give in, she filed a lawsuit and now asks for an additional $500,000 in damages. What is particularly surprising is the fact that the relationship between the two of them was not always bitter and in fact Samir Haddad chose to split a part of the profits with his family. The sister also collected a portion of the cash and for a while she was happy about the deal, but over the years she decided that she deserves more than that. The Nahas’s story is mildly intriguing, as she claims that the two of them agreed that in the event that the ticket was a winner, the sister would collect an equal part as well. 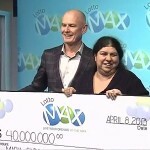 She goes as far as to say that her brother showed her a Lotto 6/49 ticket that he purchased before and then refused to acknowledge the fact that the winning one was bought with her money. Allegedly, the brother admitted that the ticket was bought with her contribution but refuses to share the prize because he bought thousands of tickets overall. 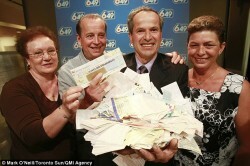 Samir Haddad claims that all of these are nothing more than lies and he told the authorities that he bought the Lotto 6/49 ticket with his own money. The siblings saw their relationship going cold over the years and they don’t even speak anymore, with a judge to decide whether the sister will get a part of the money or not. As for the barber, he is not going to defend himself in court but on the off chance that the judge decides to rule in favor of the sister, he might lose a part of the money. 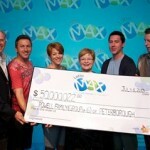 Check out the Syndicate wins 21 Million dollars from the Lotto 6/49 as well.